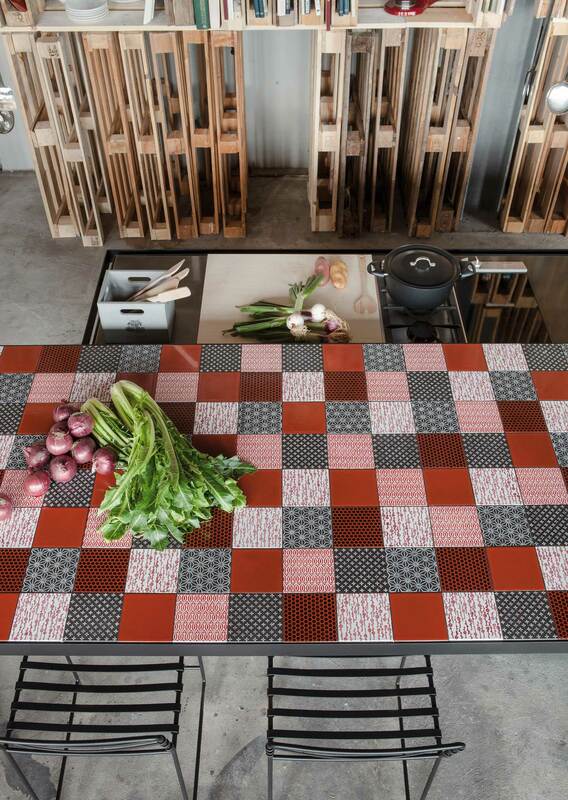 A novel worktop that evokes the tradition of Italian master craftsmen. 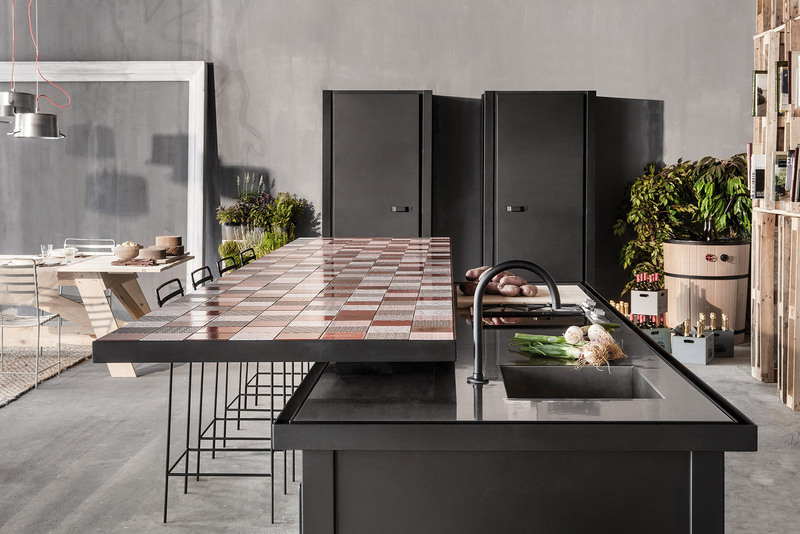 This is the new functional/aesthetic addition to the Minà kitchen, the popular multifunctional island from the Treviso-based company Minacciolo, which combines tradition with cutting-edge technology. 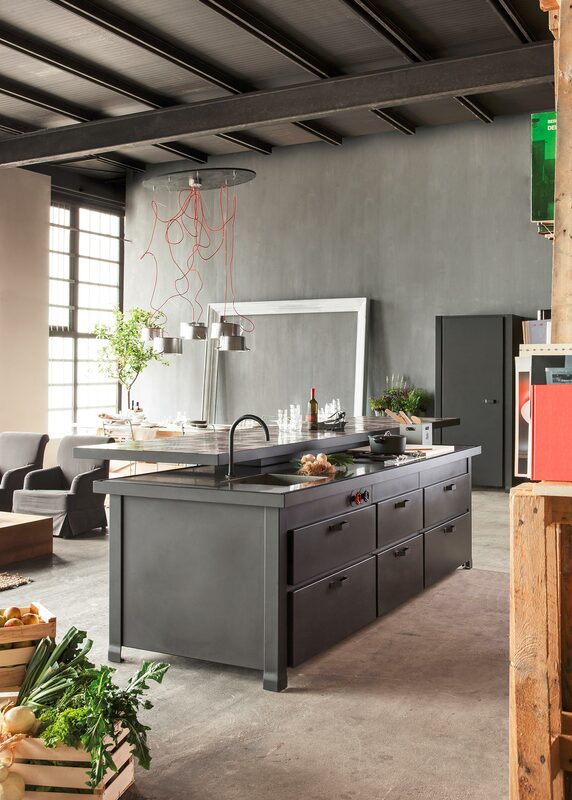 Modern lines, contemporary style and sophisticated harmony are just a few of the phrases that could be used to describe this new option for the Minà kitchen. 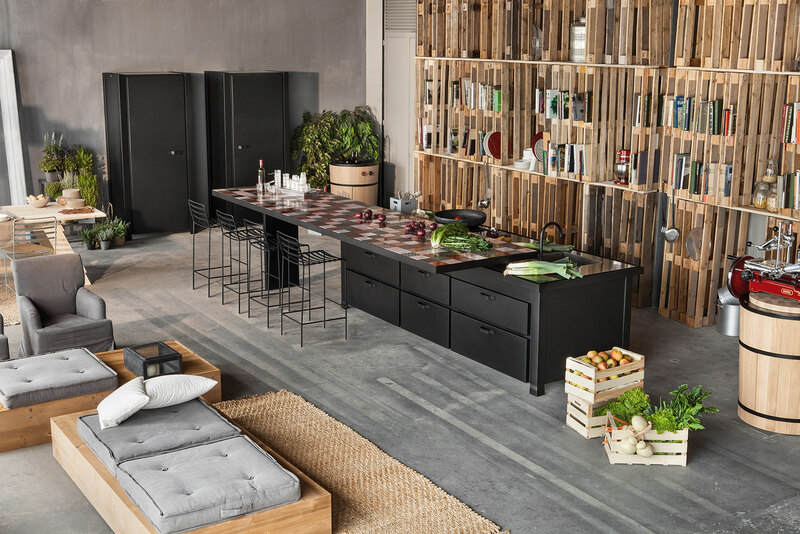 The multifunctional island offers a different concept, a design that returns texture to the kitchen, enhancing tactile feel while also providing visual appeal. A coveted new addition. 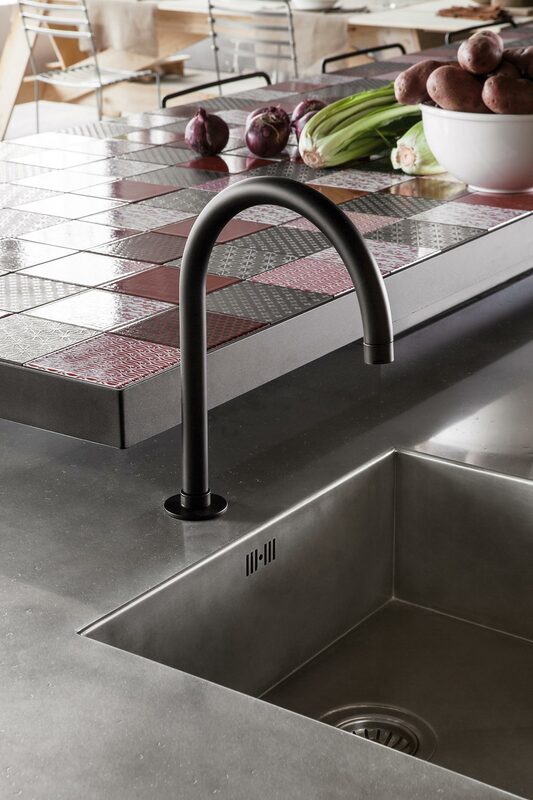 Minà features a pewter-plated steel worktop combined with a breakfast bar tiled in lava stone. 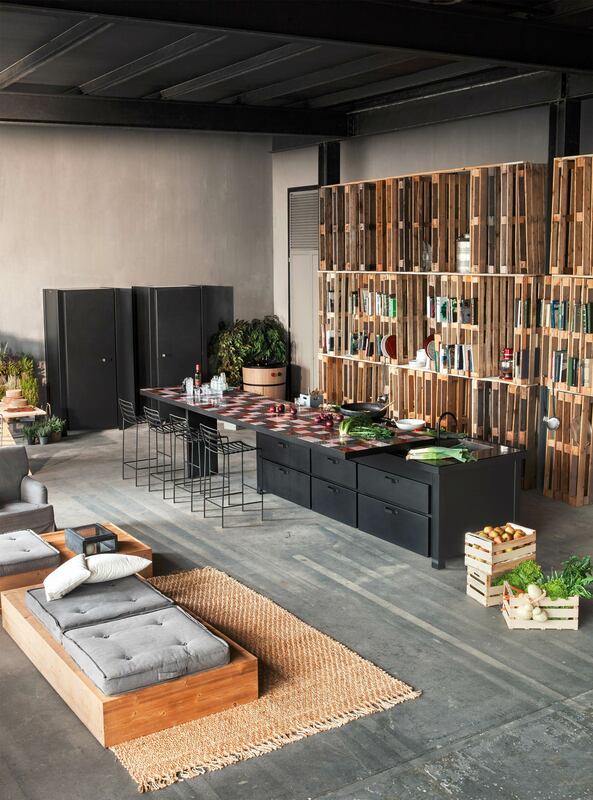 This exquisite artisanal product is made by laying Sicilian glazed volcanic stone tiles over a water-repellent support. The stone is quarried from the bottom of lava flows at the foot of Mt. 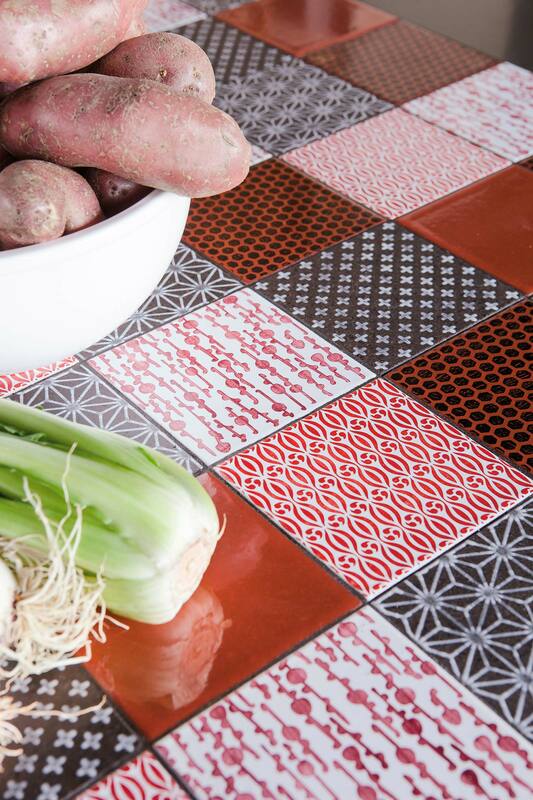 Etna, and crafted to create tiles in custom sizes. 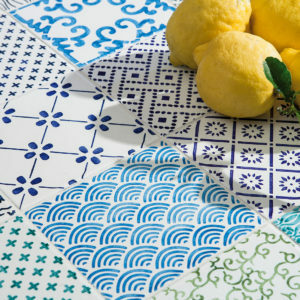 The final step in the extraordinary production process is hand-decorating the tiles using special artistic techniques. 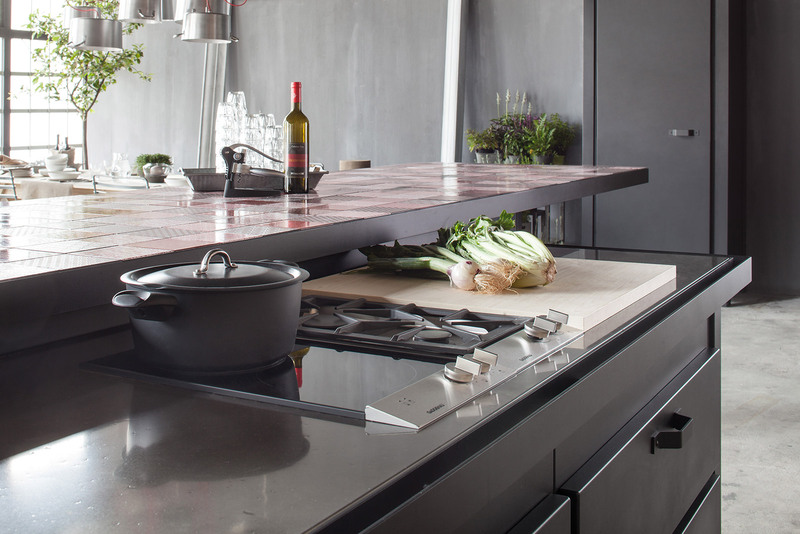 The result is a product that is highly resistant to chemical, physical and mechanical stress, as well as freezing, wear and stains, making the kitchen worktop a work of art that offers excellent technical performance. 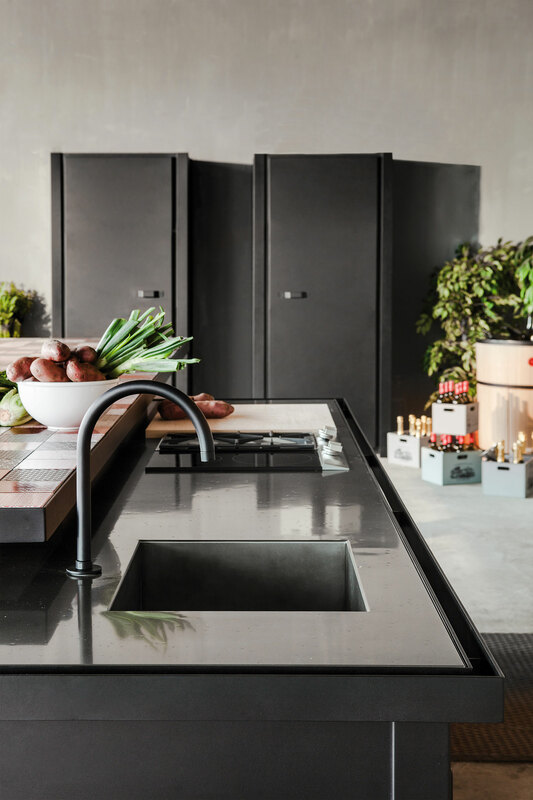 This unmistakable and original worktop is the perfect complement to the black graphite embossed steel used for the Minà island. 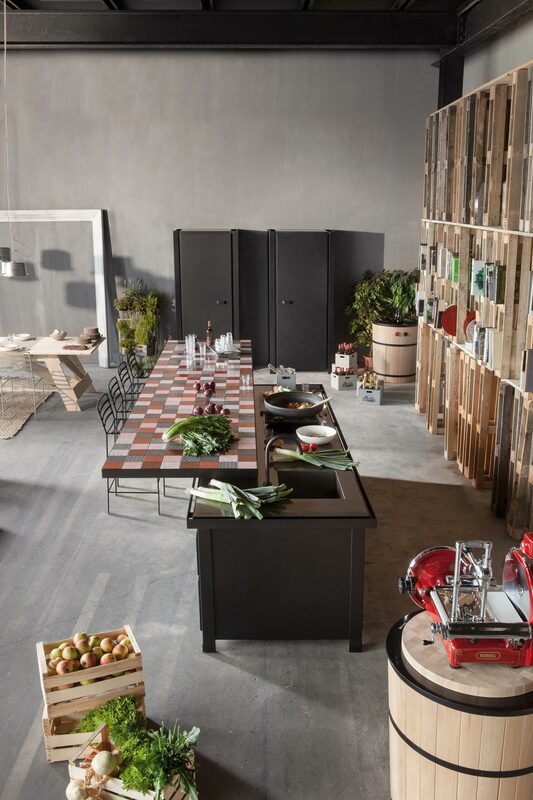 A kitchen unparalleled in terms of design, materials and worktop options, which Minacciolo always selects from among the finest Made in Italy products. The first step in producing a glazed volcanic stone product involves choosing the volcanic stone support, which must come from the bottom of the lava flow rather than the surface. The stone is quarried from the bottom of the lava flow at the foot of Mt. 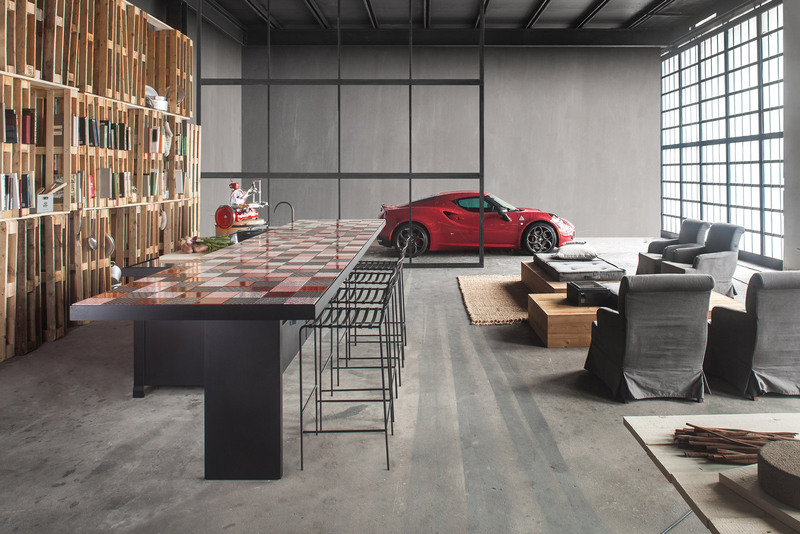 Etna and the formless rock is then worked to produce tiles of the desired size. The compact grey stone tiles are then prepared for transfer to the artistic department. The stone tiles are covered with a layer of ceramic glaze approximately 3 mm thick, and dried for at least 12 hours. 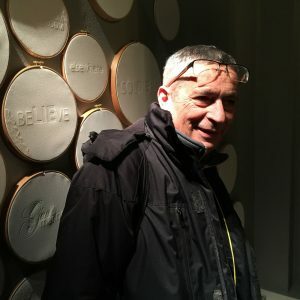 The next step in the production process is decoration using special artistic techniques. The final, equally long step is firing the tiles at a temperature of about 1000° for approximately 24 hours, which fuses the glaze and the colours of the decoration to the volcanic stone to create a single piece.